So – in the last week to two weeks people from EU and AF (and some signs of OC region selectees receiving the same warning). regions are starting to receive notices as shown below. The notice is being sent to people who had interviews prior to the present month, and were placed on AP for any reason. “The Congressionally-mandated Diversity Immigrant Visa Program makes available up to 55,000 diversity visas (DV) each year, drawn from random selection among all entries, to persons who meet strict eligibility requirements from countries with low rates of immigration to the United States. The Department of State in Washington informed U.S. consular sections worldwide to halt processing DV cases whose initialappointment was scheduled prior to July 2018 . We regret at this moment we are unable to continue processing of your DV 2018 application, however in September 2018 please check the visa bulletin(https://travel.state.gov/contel/en/legal/visa-law0/visa-bulletin.html) for information regarding DV visa number availability. Visa application and associated fees cannot be refunded. In September 2018 we will review all DV 2018 case files and return passports and original civil documents through the courier service. Selectees for DV 2018 who did not receive a visa may enroll again for the DV 2020 program in the fall of 2018. First, we need to understand how visas are allocated – so I am going to describe a hypothetical situation. When KCC schedule cases for interview (CP not AOS), they pre-allocate a visa for each person on the case. So – a family of 5 would have 5 visas allocated. If an embassy had 4 interviews scheduled with a total headcount of (for example) 20, they would have 20 visas to account for. During the month, let’s say they approve two cases, place one case on AP and refuse one case. 10 visas of the 20 are approved, 5 are refused and 5 on AP. At the end of that month, the embassy must send back the unused visas, so that they “account for” all 20 visas allocated – 10 approved, 10 returned to KCC. If another case from a previous month was cleared on AP for a family of 3, the embassy might use 3 of the 10 visas to be returned, and return the remaining 7 OR they might return the 10 visas and ask KCC to reallocate 3 visas to the clearing AP family of 3. That reallocation process takes time, and involves communication between KCC and the embassy. So – now we understand how that works, we can understand how the message above might happen. Let’s take AF region to start with. KCC (with the Visa Office) scheduled nearly 2200 interviews for August – those interviews haven’t started yet. From Xarthisius’ CEAC data we can see that 13500 visas were issued up to July 19th – it will be higher by now, but we need people to scrape the data to know the numbers. But in any case – take the 13500, or call it 14000, and add the AF scheduled interviews for August – that would be around 19000. Assume they have another 4000 people scheduled in September (1800 – 2000 cases), and we would seem to be at the quota. However, of the 5000 people scheduled in August, there will be no shows, refusals and AP cases. Those allocated visas will be returned to the pool at the end of August, so there is a chance for people to get visas allocated in September (from August interviews) or in August (from July interviews). Even with all that, I think there will be a shortfall under the quota in AF region. Therefore, AF selectees told they have to wait for a visa to become available may have a decent chance of getting a visa. KCC are acting like visas will run out because they have to assume all people interviewed will be approved. That won’t happen, so there will be a shortfall in the end in AF region. The question is whether they have time to re-allocate the visas. The unused visas from August interviews can be reallocated by KCC, but the September unused visas can only be used by the embassy for its own cases from previous months. EU has a similar story – but the numbers are tighter. Therefore it is much more likely in EU region that cases will miss out. NOT cases scheduled already for August and September, but cases clearing AP, and perhaps cases on adjustment of status. Cases that enter AP during August could be impacted if the AP continues to September. Cases that enter AP in September are unaffected because their cases would time out anyway if not completed by September 30. Cases on adjustment of status are similar to AP, in that they don’t have an allocated visa. So – AOS cases are also at risk. The same might happen in other regions too (with the exception of Asia, I believe) but I don’t know for sure. Overall, the number of visas issued globally will not reach the 50,000 level. But because processing was so slow this year, there are too many interviews that have been left until too late in the year. I will write another article explaining why the processing has been so slow this year. PLEASE. Before you ask for explanations about your region, please read the example about AF region. The same concept applies to all regions. FURTHERMORE, do not ask me about XXXX country. This is not at the country level, this is about regional quotas. About the CEAC data. This data gives us important understanding of the process, and the remaining visas. Not enough people are doing the scraping, so we have not had an update for a while. Please go to The scraping site and give some of your time to scrape the numbers. Cases from AS region should not be affected since their region is not going to reach the quota. So – exclude AS region from the following comments. Cases scheduled for August CP interviews are not affected if their case is approved by the end of August. Cases scheduled for September interviews are not affected at all, because their cases cannot continue processing after September anyway. Cases that are already in AP from any previous month up to and including July are affected. Q: Does this mean it is over for cases affected? A: NO! There is a risk to the affected cases, but that does not mean ALL the affected cases will not get visas. Some will. Some won’t. I cannot tell you about *your* case. YOu have to wait and see. Q: Can any DV2018 case be approved after September 30th? A: NO – under no circumstances. Q: Why is there a difference for different regions? A: Each region has its own quota. AF is NOT near it’s quota, but KCC are “assuming” all scheduled cases will be approved. There are nearly 10000 people scheduled in August and September. THOUSANDS of those 10000 won’t be approved – hence there will be a shortfall. The unused visas from August will be returned to KCC at the end of August, and re-allocated in September – but we don’t know whether there will be enough of those to satisfy all remaining cases by then. Same thing will happen with unused visas from July interviews – but there are a LOT less of those because fewer cases were scheduled in July. EU is very near it’s quota already, and and there are not many interviews scheduled. Success rate in EU is higher than AF, so the quota will be met. AS is nowhere near its quota and has few interviews scheduled, so quota should NOT be a problem for AS. The visas are only allocated to AOS cases at the end of the process (drawn down from a system called IVAMS), and I am assuming (hoping) that the system is smart enough to be able to see the numbers available by region. OC and SA are near the quota and have enough cases scheduled to reach or nearly reach the quota. Hi Brit, quick question. Are visa numbers re-allocated between embassies throughout the month or only at the beginning of each month? We had our interview in July and were told to wait as they didn’t have visa numbers available for us. This is for EU region but being processed in Chile. We have not heard anything from them in September and the CEAC website still says Ready. I guess I am wondering if there is still any chance or at this point it is impossible for us anymore. Thank you! We don’t know exactly how the process works or what is going on at this exact moment. EU visas must be pretty much issued or allocated by now (allocated meaning cases still awaiting interview in September). So – for your case, I can’t say “impossible”, but you are obviously very much at risk. You will only know for sure on October 1. Hello Brit Simon! Thanks a lot for your valuable help to many and many people. I have waited so long from the day of my appointed Interview in the beginning of October 2017 till the present time. Today my status on website was changed on ISSUED. My region is EU. KCC is giving last available visas now. I hope and pray all people with hopes can receive numbers. PS. I will try to help in scraping of the data as much as possible. Sometimes my friends wonder what I was doing quite often on my phone. Scraping data! Thanks for your scraping help too. This is an old article. Since I am in AP, and heard from CSB consulate that visa availability is not garanteed, I have been waiting for it to be out so I can make sure of it. However I couldn’t find any part of the VB that shows those numbers. Can you please explain to me what they meant? They will not post visa availability – that was always nonsense. Hi Brit, we finally got our visas stamped in our passports. Hallelujah! Now we have the following question: the expiration date of the visas is March but of the medical exams is January 5th. 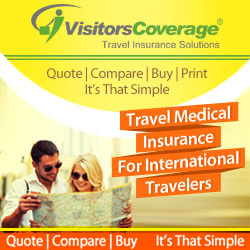 Do we have to travel according to the health certificate or visa expiry dates? Also, do you know if they still require physical copies of the X-rays upon entry? Thank you! visa expiry date. You carry the xray (along with the envelope), but they almost certainly won’t take it. You can find this info.. When You Should Travel – You must arrive and apply for admission in the United States no later than the visa expiration date printed on your visa. A diversity visa is usually valid for up to six months from the date of issuance unless your medical examination expires sooner, which may make your visa valid for less than six months. That would not normally be the case. The embassy take the medical validity into account when deciding when the visa is set to expire, so I suspect there is some confusion about when the medical expires. So – the question is – when was the medical performed/reported? A week before the interview, but then we waited 2 months for visa numbers. However, they have already made a number of mistakes including putting wrong marital status on my original visa and reissuing it in a rush on the same day. The first visa had a date according to the medical exam, so I am inclined to conclude that in the hurry to reissue they made a mistake on the expiration date. Thank you!!! Yes, that is possible. Sounds like the embassy staff are a bit clueless. In reality the IO will be guided by the visa expiry (because that is supposed to be accurate), but to be safe – use the medical date. We are writing in response to your 09/05/2018 inquiry to the Immigrant Visa Section concerning your diversity visa (DV) case 2018AF27292. We appreciate your patience in awaiting a response. Visa applications are adjudicated in accordance with the provisions of the Immigration and Nationality Act (INA) and applicable federal regulations. A review of Department consular records confirmed that your visa application was refused at the Consular Section of the US Embassy – Kinshasa, under section 221(g) of the INA. An application may be refused under section 221(g) of the INA when required or supporting documents are incomplete or while the consular officer verifies information submitted in support of an application. In this instance, the consular officer is awaiting submission of convincing proof that your relationship was not created solely for immigration purposes. If you have questions regarding the documents needed to complete your application, you may refer to our generic instructions sheet here attached, and pick what applies to your case. The drop-off of complementary documents to the file should be done at one time for all missing documentation, any business day at 16:00, between Monday and Thursday. I don’t know you or your case, so it is hard for me to say what more you could provide. What you list sounds adequate. I wonder if the proofs you have provided are somehow not “attached” to your case. If you think that may be the case, I would provide a repeat of those documents you list with a note of explanation about each item. You could also contact the embassy and check whether they have what you provided. Stop asking people and get on with what the embassy have told you to do! So as we mailed them regarding details of documents we submitted, we have to wait until they reply? Cause we didn’t attach any of the listed documents to our mail.Or we should resubmit all the documents listed with a note of explanation of each item or wait until they will reply. Please we need your help. We are writing regarding your reply for the diversity visa case 2018AF27xxx. We appreciate your response to our inquiry, but we would like to inform you that on August 8th we have submitted not only the medical reports but some of our relationship’s proofs too: photos (before getting married, while married and post marriage ), legal document of our parcel(land) that we bought together with my wife in September 2017, electrophoresis test result we did in may 2016( before getting married)Facebook conversations of my wife and I which date from 2016, Facebook posts of my wife and I from 2014 to present and so on. So what shall we add again to prove that our relationship was not created solely for immigration purposes? We are willing to add any document you will request to prove that our relationship is not based for immigration purposes cause we do not want to be victims as the session tends to an end. I would take each of your points, make it a numbered list, and resend all the proofs you mention in an order matching the numbered list. Make it EASY for them. Oky thx a lot sir, so we will resubmit all the listed documents on Monday cause we can submit documents only from Monday to Thursday along with an explanation note where proof will be made in a numbered list in order matching the numbered list. Did I understand what to request us to do? Is that right what I wrote?, one more issue we don’t have enough pictures left before our marriage cause my wife was out of country so could we also explain it in the note and show proof that my wife was out of the country? Time is your enemy here, and you are wasting time. Use your own judgement now and get a move on. I don’t know – I have already given you solid advice – follow that. If marriage was done after dv winners announcement it could be considered as the fraud. You need to change the Co decision. You already know about docs, photos,common property… you should submit something that proves your relationships before dv visa announcement… probably local documents or customary proves. Brit Simon, do you know what can be the best evidence for it in Africa? Yoojin – please stop. Again I *know* you are trying to help – but again – you are making clumsy statements. This site is not a forum, it’s a blog. The name is “BritSimon Says”, not “Yoojin Says”. I am already busy, I don’t want to have to spend time clearing up after you make incorrect (albeit well meaning) comments. I did my last comments and only after that I saw your reply. Sorry. I answered as issue of such evidence concerned me too… and I saw few cases on other forums on same problem and shared that info here. I hope that Hope and struggling people can overcome the difficulties in the last two weeks. Hello since june my case is still in ap.we are from asia my country is iraq.in interview every thing is fine even visa officer said evrry thing is perfect.put they put our case in ap.3 days before my husband status date changed but still in ap.deadline is very closed my number is also high.tell me what ww should do should we emailed or not.one question more they are issuing visa in september or not. All you can do is wait and see. Visas can be approved right up to September 30. Comments: The document must have the annotation mentioned above, “Penales con excepción al artículo 51 del Código Penal”. Without this annotation, a full list of arrests and charges won’t be provided. I have to police record one from March 02 with this note and one from July with out this note. I called to the consulate of argentina in Venezuela and they told me the only they can do is a note signed by the cónsul. I need to get that police record yes or yes right? You know the rules Juan! I don’t know your exact case. Brit all Police certificates expire after one year? Well typically less than that – but older ones can be used if you have not returned to that country. At me only ask only birth certificate Marriage certificate Police record Medical exam. I want to Thanks again for this year it going to be unforgetable to my family. I apreciate all your work. And I want to keep help at people in the lottery Specially tu SA region. Thanks to GOD, and thanks a lot for your guidance, my family has been blessed. We were aproved!!! I hope you’re doing well? I am in AP from last month about my educational documents . May I know if it is possible to email the embassy or I have to wait from them. I am from DRC my interview it was in south Africa in this country I’m asylum seeker (refugee) .in the interview the Co didn’t understand why I have university graduate but I am plumber. ( that job it’s for survived ) and that paper for refuge is problem to work or study? I just want your help what to writer ? You can mail them to check on your case – but there is no point to try and explain your status and so on. If the CO wanted more info about that, he/she would have asked. No – you can write that. That they have not updated the status. How or where can I check my visa status after an interview and asked me to leave my passport? This year has been so stressful for everybody, but here in Casablanca we were among the unluckyest ones, as one quarter of the country was flagged by the consulate for automatic extreme vetting DS5535 (altough they deny it is based on geographical parameters). The consulate was struggling with around 200 cases awaiting clearance, and only lately they started issuing visas for early cases from months 10 until part of march. but that was it, and this year has the lowest issuance rate since ever. To this day nobody else was cleared for the last week, and 120 remaining cases who have passed interview, paid the fees and had their complete file, have now lost hopes, specially they had their passports returned on interview day). Well right from the 1NL people are told the selection does not guarantee a Green Card, so yes, it is frustrating, but it shouldn’t be a total surprise. Same thing happened here in Ethiopia too. Its really unfair to let people pay for everything, tell them they passed and then not issue the visa. Winning this lottery has been one of the worst experience in my life. Yafiet, what was the reason for rejection in Ethiopia? is it related to high case number/insufficient visas for Ethiopia. I can’t say for sure. All I know is that the embassy has been doing that since August. So surely cases with high numbers are affected the most. Its not because there were insufficient visas for Ethiopia. KCC will not schedule any selectee unless a visa number is available. I think its a problem with the Embassy. They couldn’t process every case fast enough somehow. It seems you are making assumptions without really knowing the facts. Yes, if it doesn’t go well for you, you will see it as a disaster – and that is a shame. The process doesn’t work for everyone. But over 45,000 people will not see this process as a disaster this year since the system worked for them. I know how it works. Thousands fail and thousands succeed. But I was only referring to myself when I said it was a disaster. May be its because it is different for us. Most people will just lose few hundreds of dollars and time if they fail. I believe thats totally worth the shot. But for us its a lot more loss. About 3000$, displacement from home, risk of life along with the smuggling. I knew the risks, but I thought if I give them everything they asked I had a greater chance. The least they could do is tell me why they won’t issue the visa. Hello brit Police clearance letters are valid for 12 months from the date of issuance? Sort of, yes. However, it is wise to make them be as recent as possible for the interview. Brit not for interviwe my case is AP on long time from November 2017 to September 2108 so the embassy says me ” before October 16 enter in USA because the police clerance is after october 16 expiered” so brit by this order i have to go october 3 to usa it is good? You police cert is nothing to do with when you enter the USA. as 30 th will be the deadline if i contact the embassy what should i tell them ?? Hi brit after green card fee what is the next process ? I need your question to be more clear. I really don’t know what you are asking. Now you just enter the USA. I scared my case has stayed on PA for 6 months. Today is sept 30. Is also Sunday, is it possible by miracle they change my statut before the end of the day , today is sunday. Or is it possible they give me the visa and update the statut on ceac later? Because of weekend Can they give the visa without updating the ths statut? Is there any deadline for paying GC fee? Do we have to do it before entering usa? No deadline as far as I know BUT it wise to pay the fee right after you get your visa so that your card will be processed on time. I think you have that advise/instruction on your handout document. No real deadline, but paying before travel usually means faster delivery of the GC. Two) How long it will take if my wife get there to send for me? First, wait and see whether you also got a visa. If not, it would take around 2 years (while you are apart) to get your GC. Hey Simon, Can pls tell me how much for the green card? Wait a couple more days, then it will be time to accept that you will not get the visa. thank u very much Britsimon i finally reach my destination which is Glendale Arizona we want to the social security office for our numbers they said we have to wait after 4 weeks they will bring it along with the Green card is it true? Not really. It has nothing to do with the Green Card. Whether it comes or not depends on whether you asked them to apply in the DS260. If you did, it should arrive within 2 to 3 weeks. First you need to get selected, but no – you cannot add your child to the application. Your suppose, or your spouse? Yes you can start. Why did your spouse not go with you? Thank you very much mr. Simon, i want to asked u a question about my Green card when your card is in process how long it takes to arrived at ur destinated Addressed? It can take from a couple of weeks to 3 or 4 months. Good morning Mr.Simon please help me to answer this question for me, I and my husband we apply for Green card together we paid for the fees the same day on January 25,2019, I only received my green card and his own was not send why ? I don’t know why. Be patient.